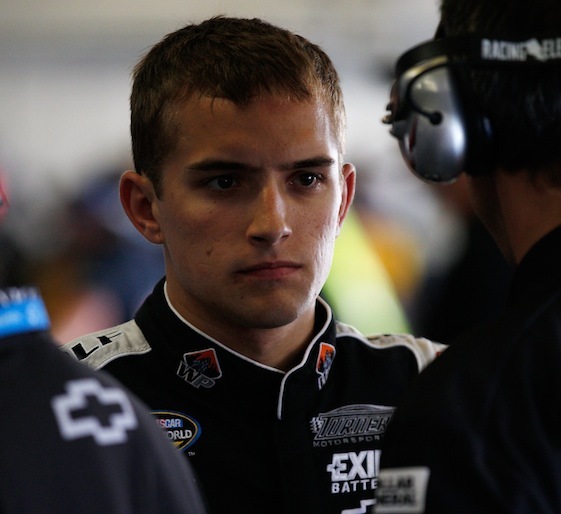 KANSAS CITY, Kan. – James Buescher won the SFP 250 Camping World Truck Series race at Kansas Speedway on Saturday. It victory was his first in the series and came in Buescher’s 76th start. “Finally got there,” the native of Plano, Texas told his team over the radio after crossing the finish line. The victory was the second in a row for Turner Motorsports as Kasey Kahne won for the team a week ago at Rockingham Speedway. The victory was not Buescher’s first in NASCAR as he won the Nationwide Series race at Daytona in the season-opener. Finishing second at Kansas was Timothy Peters, who leads Buescher in the point standings by four points. Brad Keselowski finished third and Nelson Piquet Jr. was fourth. Fifth was former series champion Todd Bodine.